Sarah is passionate about delivering social value, but not as a niche activity only for the do-gooders or those religiously or philosophically inclined. Some of those thoughts about organisation, values and business innovation are collected here. So you’ve got a great idea and you just know it’s going to change the world. You are bursting with passion and enthusiasm…it’s all you can think about and you’ve already bored everyone you know to tears with the details of your grand plan. But how on earth are you going to fund the start-up of your social enterprise? How will you develop your idea and support yourself at the same time? When do you give up the day job to focus on this full time? When I started The Create Foundation I sold my family run business in order to raise the funds to get us through the first year. I borrowed from family, max’d out every credit card I could lay my hands on and re-mortgaged my house. I understand that not everyone is in the position to be able to do that, but my first challenge to you would be, would you be prepared to do it, if the opportunity arose? What makes you think that others should fund your start up if you don’t believe in it enough to take those risks yourself? That said…even when you’ve raised and spent every penny you can lay your hands on yourself that still may not be enough, especially if you’re having to draw a wage from the business from day one. So think that through when you’re drawing up your business plan. Do you really need to work full time in your business or can your personal income come from somewhere else in those early days. It might mean working long hours for the first year, but hey…you believe in this, remember! The next thing to think long and hard about is where you want to be in three years’ time. So many businesses (social or not) under-estimate what they can achieve in that time frame and so fail to future-proof themselves in terms of the financial systems they put in place in the beginning. If you have ambitions to grow and scale and replicate your social enterprise then don’t start out life stuffing receipts in a carrier bag from day one…you’ll only have to go back and implement a better system and any potential funders will see a sole-trader mentality that won’t give them confidence in your investment potential. So you’ve got your business up and running, funded the first few months through friends and family borrowing/investing and you’re still working part time to bring in some personal income. Business is going well and you’re still convinced that this is the idea that’s going to change the world. Where do you now go for funds, having already used up the routes most easily available to you? Most banks and social lenders are risk averse and want to see a proven model, preferably profitable, that has the potential to offer them a good return on their investment. And that’s probably not you. Not yet. So make that your focus…getting to that stage at all costs, ensuring that the significant amounts of social finance out there right now can be yours once you’ve proven your model and are ready to scale and grow. And in the meantime? Try UnLtd who offer awards of £15,000 for people whose idea needs developing to become investable and which also comes with support and advice packages to suit your needs. Or contact the social enterprise support centre, which should be able to tell you what funding is available in your area. If you’re quick, you can seek advice from Business Link (due to close its doors in November after funding cuts of its own!) and don’t under-estimate the power of crowd-sourcing the information you need…social media like twitter is a very powerful way of finding who’s out there and what they can offer you. To sum up then, most people can make do with very limited funding in the early days and when you’ve proven your business works and makes money you’ll have to hold back the tide of people wanting to invest in youbut there is a massive gap in the middle of those two scenarios. The Big Venture Challenge is one of the more innovative funding schemes seeking to address this need so I’ll be watching that with interest in the future. I have to be honest and say that I am a bit of a doer. So when I started Create my first priority was, make food and sell it to people who will put money in my hand for it. Simple but effective I think. It still remains my benchmark, because if we are not doing that the foundation of all that we are as a business, social enterprise or otherwise, evaporates. As a girl of action my feelings towards branding and marketing people (or Creatives, as they like to be known!) are sometimes a little cool to say the least. But one thing I did recognise very early on is that creating a brand is vital to delivering business success. The second thing I learned is that, as a leader, if you have identified that something is logically important but you personally have no interest in it, get someone onto the team who is passionate about it. One of the first members of my management team was passionate about this and I used them mercilessly to develop the Create brand in ways I had no inkling even existed. As the company grew it needed additional support and it’s money well spent to an eternal brand and marketing company in my opinion. That was partly because mine is a social business that seeks to deliver social value as well as great products and services but I don’t think that really matters. All brands that are successful are about getting people to love you and your story and therefore to buy your product. It is brand which is the personality that identifies your product, service or company and determines how your company relates to key constituencies: customers, staff, partners, investors etc. This understanding was vital for me…Create’s brand is like a stick of Blackpool rock. If you looked at us from either end or broke us in the middle you could always see the same thing, because it was written throughout our DNA. So many times I have seen branding used as a tool to try to sell the personality of a company but if that branding isn’t carried through everything you do you can so easily end up with a logo/wordmarque that speaks of something different to your business card, which jars with your email footer and as for the handwritten notice you put up in reception…don’t get me started! Believing in great food and service. Believing that food is about hospitality not theatre, caring not showing off. Believing that people can grow, thrive and excel when given the chance. Believing that customers want to make a difference and buy with their heart, not their wallet. Believing that business and ordinary people do extraordinary things. There is a lot of talk at the moment about emotional resilience. I don’t buy it all but I do think that resilience was one of the qualities that I found essential in those first couple of years of starting up a business. Resilience can be being so hard that nothing can penetrate you, or being made of the stuff that can flex against outside forces and not loose its shape…the subtle difference between impervious and strong being a vital one in this context. I prefer to utilise the second of these options for success in business. All this talk of resilience really boils down to is – what keeps you going through the tough times. For me the answer is easy, red wine and lots of chocolate! But I have a few more words to fill so I will give you the longer version too. For me resilience is that key element of being a leader which is I think the most important attribute to successful start ups. I think it boils down to five key characteristics. Work out what your centre is. Work out what drives you. If it is only making money then those start up years are going to be tough. Looking at your bank balance each day, if it only money that drives you, is a challenging prospect. If it is only money that drives you then the equation is simple…lots on money in the bank = I am a good & successful person. Not much in the bank = I am a bad person and a failure. If it is giving a great product or service then I can sit at the end of the day and say “that was a good day because…”. I suspect that this way your business will deliver consistently for many years and not stop delivering when there is money in the bank, if you are driven by the right things. Work out what your leadership style is. Play to this and work with it, but be prepared to research and understand other styles and use them to bend and flex with the circumstances you find yourself in each day. Don’t loose your identity but be prepared to roll with the punches to achieve what drives you. Learn from other leaders. In history great leaders often had all the characteristics we’ve discussed but also had a great inner circle to share the journey with. Choose a couple of people to share your successes and failures honestly with. These could be key colleagues or friends but probably best not family, if you are going to balance that work life thing well. Finally waste some time. Shamelessly, lavishly, waste time on doing something that makes you feel good, something you enjoy. It’s your business and your time and it’s healthy to do something each week that helps you recharge your batteries. Worst case scenario – if everything else folds you will be left not with nothing but with you so it might be a good idea to look after your best asset. Location, location, location – creating networks that work. I know it is old and hackneyed but in business, location matters. I run a food business and often people offer me an opportunity that they think it too good to be missed. A retail venue that I just have to see, a café that just can’t fail, a building that’s just perfect. The number of times I have stood outside those venues and not seen a soul walk by at 1 pm. Lunch time. When people buy food. That’s not good, the location is not right. For me this is really simple business principle and it works as well with people as it does with buildings. Location is all important. If you are going to network with people you can’t do it from a desk or a laptop. You need to get up and get out to meet people. I firmly believe that people buy from people. People invest in people. We need to offer great products and services and we need great business plans, but these mean nothing if people don’t know who you are and if they don’t like and trust you. So I am going to offer you my pointers, for what they are worth, on this subject. 1. Firstly, put yourself outside your comfort zone. Your friends and acquaintances have already done for you everything that they can. You need to meet new people outside of your current circle and sometimes that’s uncomfortable. 2. Put yourself in the right place at the right time with the right people. It doesn’t matter if you spend time meeting people who are no real value to you and you business. Meet with people who you want to do business with now or, just as importantly, in the future. 3. Put yourself out there regularly, not just at the big event of the year. Push yourself forward a bit and sit down and decide at the start of the year what events you want to be at. 4. If you have the experience, book yourself onto conferences and offer to run a seminar. That way people will notice you and you can hang around before and after when the real conversations happen. 5. Always talk confidently about your business. Never over promise what you can do or achieve but be brave enough to make bold assertions that you know you can deliver in a short time with a favourable wind behind you. I believe it was Tim Schmidt from The Eden Project who called these “future truths” and we all use them! 7. Be authentic. Never, never, never stand looking over the shoulder of the person you are talking to to see if there is someone more interesting there. People value authenticity. If all this talk of putting yourself in front of a room full of new people makes you squirm then here’s my top tips. Walk tall as you enter the room. Grab a drink and take a moment to look around the room and pick out a group of four or five people who obviously know each other. Walk confidently up to them and tell them that you don’t know anyone in the room…would they mind if you joined them? Never fails…they’ll open up the group and one of them will ask you a question and you’re on your way. Talk for five minutes or so and then excuse yourself to move onto the next group. Oh and one more thing…never, ever forget your business cards. The panic on people’s face when you show an interest in their product or service and they realise they don’t have a card to give you in mildly amusing the first time but quickly grows tiresome! Remember, people respond to, buy from and invest in people. Get out there and meet them, they will love you. And if not at least you got a free lunch. After four years of being in business we have just employed a new member of staff. Not the first one, we have about 60 others, but a new and note-worthy member of my management team. She holds the title of Director of People and Culture. It sounds a little bit of an elevated title but one that I think puts the finger on something I think is really important in any organisation – culture. She does lots of things, recruitment, training and HR, but most importantly of all she helps us make sure that everyone in team Create “gets” our culture. You may have been on those courses in Health and Safety training where the trainer asks the question, “who in your workplace is responsible for Health and Safety?” Little clue here, the answer is always “I am”. Believe me, if that’s not your answer the trainer will ask the question over and over again till you get it. In the same way, the answer to the question of who is responsible for the culture in your business, no matter which member of staff you are talking to, should always be “I am”. One of the great things about being a start up is that family feel, the feeling that we are all in this together and that what we are doing together really matters. It is that spirit that drives excellence and innovation in lots of businesses but that spirit is so easily lost as the business grows. After 10 years of operating and with a staff team running into dozens, the danger is that people can start to look round and realise that something of that spark that made you special has gone out. Something of the zest and passion has been lost. That is why at this early stage in my business growth I wanted someone to stand alongside me to be the visible ambassadors for our unique culture. Someone who asks the irritating ‘why’ questions, challenges us all and asks constantly if our decisions are in keeping with the culture of what we believe about people and about businesses. The heart of every great new business is often the heart of those first few people who started it; it is their vision and passion which gives you the potential to be truly the best business in the world, a game changing business. Culture is always about “keeping the main thing, the main thing” and if we lose sight of that we lose the thing that made the business special. You and your team need to understand the culture you’ve created in order to attract and retain the right people onto the team and valuing, nurturing, keeping your culture alive IS the main thing. I think this was the hardest lesson I learned in the start up phase of my business. I know that it’s hard because on this I have made just about every mistake there is to make, so I really am speaking from experience! When I started my business, like every entrepreneur I wanted to make it a success. Because of this driving ambition, particularly in the early years, I said “yes” to everything. Every meeting, every business opportunity, every event. We ran a cleaning contract for twelve months and we’re a food business – that’s how hard it was for me to say no! The reasons for saying yes to everything were good and I think that is really important. I wanted us to be business-like (we’re a social enterprise), to make money, to establish ourselves and build a brand but often, as I look back, we were busy with the wrong things. Why? Because I found it hard to say no. Saying no to things outside the business. When your email inbox is full of invitations to network, to go to conferences and to assess businesses opportunities it is tricky to steer a path through this. Now I have a clear picture of our priorities and where I want to take the business in the next month, the next year and the next three years. Because of this I know my mission and what will lead to its success. So I have a framework and within that framework I can make a first assessment as to whether this opportunity is worth my time or whether I should just hit delete! Saying no to those inside the business. When you start a business, I think it is great to surround yourself with the right people. People of passion and action who can get things done and drive things forward. The problem with that? They are all like me! One of the hardest things to lead is that journey that says, ‘these thing were right to do then but they are not right to do now’. I have to help people to say no, when I know they really want to do something, and to model in my behaviour the guilt free way of saying no. It is amazing the liberation that comes when people can start to free themselves of the compulsion to say yes to everything. This is infinitely harder because so often the reasons for saying yes to everything are all mixed up with some great motivations and some that are not so great. I want to do what is right for my business but so often I feel compelled to say yes to something because it will keep me busy. And why am I busy? I am busy because I am vain. I want to appear important. Significant. What better way than to be busy? The incredibly long hours, the crowded schedule and the heavy demands on my time are proof to myself — and to all who will notice — that I am important. If is say no to something will I ever be asked again – to do business with that person, to go to that event, to speak at that conference? Well I guess that is a risk, but then again it is a smaller risk than saying yes to everything and going bust or burning out! Well, fractionally. I am often asked to speak at conferences about social enterprise. I am often asked to spend time doing consultancy with public sector organisations who are thinking of becoming social enterprises ‘because it seems to be the thing’. I am often asked to write articles about social enterprise. ‘a social enterprise is a business with primarily social objectives whose surpluses are principally reinvested for that purpose in the business or in the community, rather than being driven by the need to maximise profit for shareholders and owners’. I often liken social enterprise as the collective noun ‘fruit’ and community interest companies, co-ops, mutuals etc. as apples, banana, oranges etc. Anyway all of that has ducked the question I think is most important. Does it matter? When I started Create we worked long and hard with lots of people to try and find some words to stick under the logo that summed up what we are about and we settled on ‘where good food and people matter’. So I guess that’s the answer. I didn’t insist on ‘where social enterprise, legal structure and governance matter’, because if I am honest they don’t. I think they are important and can be significant and helpful, but they don’t fall into that category of things for me – things that really matter. And I think this is because I believe when a person starts a business they do so because they are striving towards purpose, value and meaning. That might be ‘make lots of money, buy a big house, secure the future for the kids’. It might be, ‘delight customers and add value to lives and communities’. In one sense it doesn’t matter. We all start businesses with a purpose and just because we stick a particular label on that business doesn’t make its purpose more noble than anyone else’s. There are great advantages to being a social enterprise, it protects, shores up your core ethos as you grow, gives clear external messages and supports the development of a strong internal identity. Does it matter? I think not. I think doing business well and with an honourable purpose, I think that matters more than labels. I went to the opening of a café today. It is a new local business and it was their first day open to the public. One of my businesses was a food business; from event catering to street food, from directors dining to a Good Food Guide and Michelin listed restaurant, I like to think that I have built a business that understands food and what the customer wants. So I went, not to suss out the competition (honestly!) but to lend my support to this new enterprise. One of the things that I love about the food and hospitality industry is that it is genuinely very collaborative. We all want our market share, we all want to be the best (obviously!) but our passion for great food and customer service means that food people often sit down together to eat, share our ideas and help each other out. So I went along on the first day of this new business to lend my support and it was really interesting to reflect, as I ate my lunch, on my journey over the last five years from my first start-up day. The lunch was good, the set up was ok and although it was a bit rough round the edges it all seemed to be going fine. I was chatting to the lady who had opened it and mentioned that when we open a new place we always open at least three times before we open to the public. First to our own staff across the business, then leave it a day, second to family and friends, then leave it a day, third to invited guests (the sort we know we can rely on to be very kind), then the next week we launch ourselves on the general public. The revelation led me to two people and two continents. One of them was an amazing French man called Auguste Escoffier, the father of modern cooking. Over a hundred years ago he revolutionised kitchens, restaurants and service and it would be true to say that there wouldn’t be any restaurants as we now know them without him. He laid the foundations for how you get food to a table in front of a customer. So however innovative your take on the food industry might be, you will have learnt at least some basics from Escoffier. Everyone at some point learns from those more experienced than them and it is often the case that businesses stem from a set formula, that you either know or you don’t. The other amazing man is Paulo Freire. He was an educationalist in Brazil who used education to raise the consciousness of those who were poor and oppressed so that they could recognise the condition of their oppression and injustice and develop the tools to challenge that. Over and over again, through a process he called ‘conscientiation’, he recognised that those who lived in the shanty towns around the cities, who had no rights and were in desperate situations, just accepted their situation as ‘normal’ until they woke up and realised what they didn’t know. So there I am, sitting having my lunch thinking about Auguste and Paulo (sounds like a holiday I once went on…!) and my own start-up and I realised how important it is to know what you don’t know. Shadow an expert. Find someone who is in your industry and ask if you can shadow them for a few days. Most people are happy to share their skills and knowledge. Brush up on technical skills. If you are lacking technical skills in a particular industry discipline, find a business that will let you work on the shop floor for a few days or weeks (in my much earlier business career I would send staff to get jobs with my competitors to find out what they were doing. This is risky and unprofessional and I’m glad we’ve come a long way since those days. Much better to be upfront and ask). Learn from the big guys. Identify a company who is doing what you want to be doing but on a big scale and copy their best ideas – everyone does it – don’t believe anyone who says they don’t. Find a mentor. Get a mentor who can provide you with long term, end of the phone support. But choose someone who’s been there and done it, with actual relevant experience, as opposed to someone simply being paid to offer advice they once read in a book. You need a relevant practitioner, not a generic advisor. Most importantly, your lack of knowledge should never stop you starting. There is never a day when I don’t come across something I don’t know, that could help improve my business. I guess now I just admit it a lot quicker and work smarter, harder and faster at filling in the gaps in my knowledge. Anyone who works with me knows that I am always in the process of starting up businesses. Even in those businesses which have been around for a while, I’m always coming up with new ideas. I think that’s because in the great American stories about ‘how the West was won’ there were always pioneers and there were always settlers. There were always those who were up early, out in front chomping at the bit to be breaking new ground, making new discoveries and forging forward. There were also those, a big part of the team and just as important, who were coming on behind and making sure that all the things that needed to happen to secure the ground, to make it habitable and fruitful, were done. In short, pioneers broke new ground and settlers made it work. There were always both because they belonged together. For me, one of the greatest learnings has been the recognition that I am a pioneer. Whether I’m working on my new start- up or in one of my more established businesses, I am a pioneer. And all pioneers need settlers. Is it within our culture . competence . capacity? I have this up as a warning for the pioneer within me, because I am always the one who sees the opportunity in everything and the exciting route ahead around every corner. Out of every opportunity that presents itself, the pioneer in me has to say no to the majority – but how do I decide? I ask those three questions. Is this new direction within our culture/competence/capacity? Let me illustrate with one example for each from my food business. We were invited to tender for a sandwich contract. It was a reasonably large one and I was interested. Each sandwich had to be costed at a level which meant we either cut staffing and used zero hours staff or used products which were at the horse end of value. My company’s strap line is ‘where good food and people matter’ so it was not within our culture – I said no. We were invited to open a cafe in a prison and to work specifically with a high risk category of offenders. My team are trained and skilled at working with homeless people. It was not within our competence – I said no. We were invited to take on a new build theatre catering offer. Six outlets with 1000 covers (seated customers) in all. It was 300 miles away from our base. We could have done it, easily, but just now it was not in our team’s capacity and could have broken them – I said no. Among those I work with, I am well known for not doing much outside work! Recently I have got a little more in the way of work/life balance; well if I am honest it has kind of been enforced by my new puppy. I never thought I would be a dog person, but my little puppy, Russell, has kind of made me one and as a work/life balance tool he enforces a level of time away from work that is healthy! As well as the puppy I watch a little TV, not much but a little. I watched a TV programme yesterday that featured a drama about an army unit. It reminded me of one of the best business lessons I ever heard given by General Sir Richard Dannatt, the then head of the British Army and now, I think, a Lord – so if I have got his title wrong and he reads this Startups column, then I am very sorry, Lord Dannatt. He spoke about how the army gets things done and explained very, very clearly about the structure that enables them, through hundreds of years of practice, to achieve outcomes. Now please don’t take this as my political view on the army or war or some of the global interventions that the British army has been involved in over the last decade, it is not. It is, however, a reflection on how we can learn about business in the most surprising places. The greatest wisdom on growing a new business is not always learned from management books and start-up seminars. It is learned from those who have deep and long-term experience understanding people and the way in which they operate. Dannatt spoke about his role in the army and how they get things done and he did that by outlining three very simple modes in which the members of the army operate. There are three modes – strategic, operational and tactical. So the example he gave was in the most recent theatre of operation he had been involved in. The strategic responsibility was to issue an order informed by knowledge of culture, history, economics, logistics and a whole host of information, an order which would achieve the result of securing a key city. The order was “go and take Basra”. That was it. It is impossible to quantify the knowledge, experience, research and learning that led to that order and it looked like a very short sentence for the work involved. From the CEO of the army, that strategic order was vital. The operational team then took over and took that order and decided where to place which battalions and divisions and in which directions to move them in order to fulfil that order successfully; a major task of operational, logistic and management skills. The tactical mode then took over and soldiers on the ground, who knew how to operate the machines, assemble and use the kit, made their way forward. Dannatt’s point was that each mode was important and that if those at the tactical level began their task by asking questions and re-assessing whether “go and take Basra” was the best thing to do then the army would be paralysed and the task would never be completed. Likewise, if the those operating at the strategic level insisted on every soldier reporting personally to them in order to have their weapons cleaned and serviced then the task would never be accomplished either. His point was to understand the difference between strategic, operational and tactical tasks and not to confuse the roles of who does what in that process. When you are in the midst of starting up a new business – as I am at the moment – it is very often the case that you, (and only you), are doing everything, strategic, operational and tactical. That is right. Dannatt was a great leader because he knew what it was like to stand in the firing line, to spend long nights waiting and to clean his own gun and boots, but – and this is a very important but – he knew when it was time to change. When you have started up a business it is easy never to move away from being the person who opens up in the morning then locks the doors late at night. If you don’t, you can become the limiting factor to the growth of the business. Learning to sense the time in your start-up of taking on the right people in the right place at the right time is vital. If you don’t you might spend for ever cleaning your boots and never take Basra. 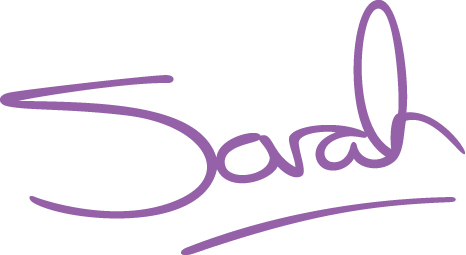 Enter your email address to subscribe to Sarah Dunwell's blog and receive notifications of new posts by email.